Join Dallas Hartwig and Melissa Urban, founders of Whole9, for a practical, straightforward, interactive discussion on the important role nutrition plays in your overall health and fitness. We're now offering a FULL DAY of material, so you can take your nutritional know-how from the classroom to the lunch room, and everywhere in between! Want to hear more about our workshops? Check out our Testimonials page! Workshops run a full day in length. This includes an hour long lunch break, where we encourage attendees to hang out and socialize with each other and the Whole9 crew. With your registration fee, you also receive a packet full of resources, recipes, meal planning tools and special discounts on cool fitness and nutrition products. Note, the packet isn't a full outline of the covered material - just an additional reference guide. Be prepared to take some notes! Founded in 2009 by Dallas and Melissa Hartwig, Whole9 is a community focused on health, fitness, balance and sanity, all built on a foundation of real food and healthy nutritional habits. We have four U.S. seminar teams traveling all across the country, sharing our Good Food word. We also have a team in Canada and another in the South Pacific (Australia, New Zealand, and the surrounding area). 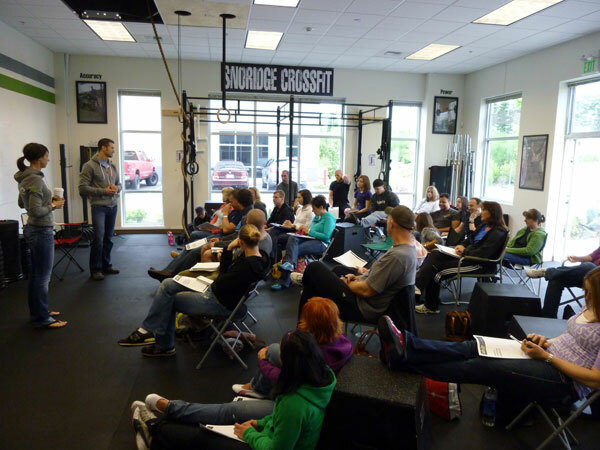 We talk a lot about nutrition on our site and in these seminars, but that’s just one aspect of our program. The ‘9’ in Whole9 comes from these 9 factors, which we believe are all important for optimal health. Our 9 Blog features all of our articles, addressing various aspects of each of these factors (and then some). In addition, we are the home of the original Whole30® program (as featured in the Hartwig's New York Times bestselling book, It Starts With Food), which has been quietly changing the lives of tens of thousands of people since April 2009. We invite you to learn more about Whole9 and our Whole30 program. Start here.